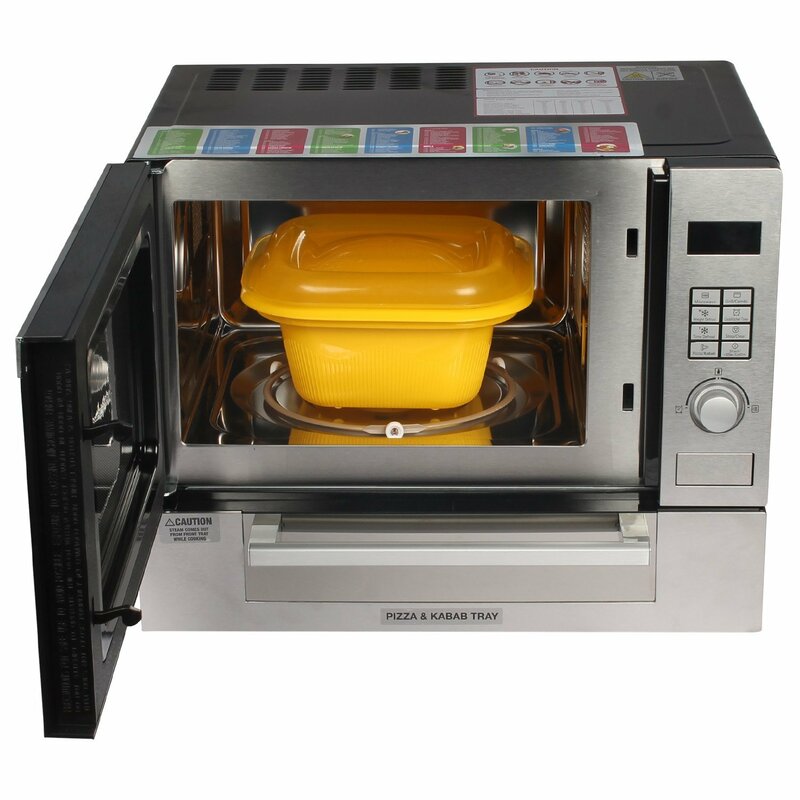 Godrej 25 L Grill Microwave Oven provides a great way to make delicious and mouth-watering dishes very easily. 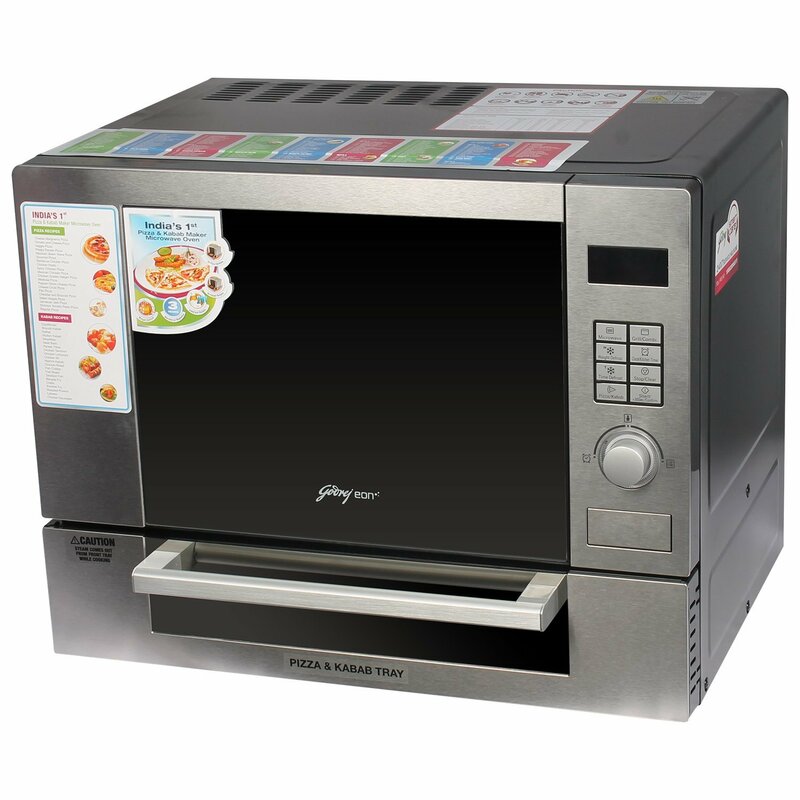 This 25-liter capacity microwave oven looks very stylish in black color to complement your kitchen décor. 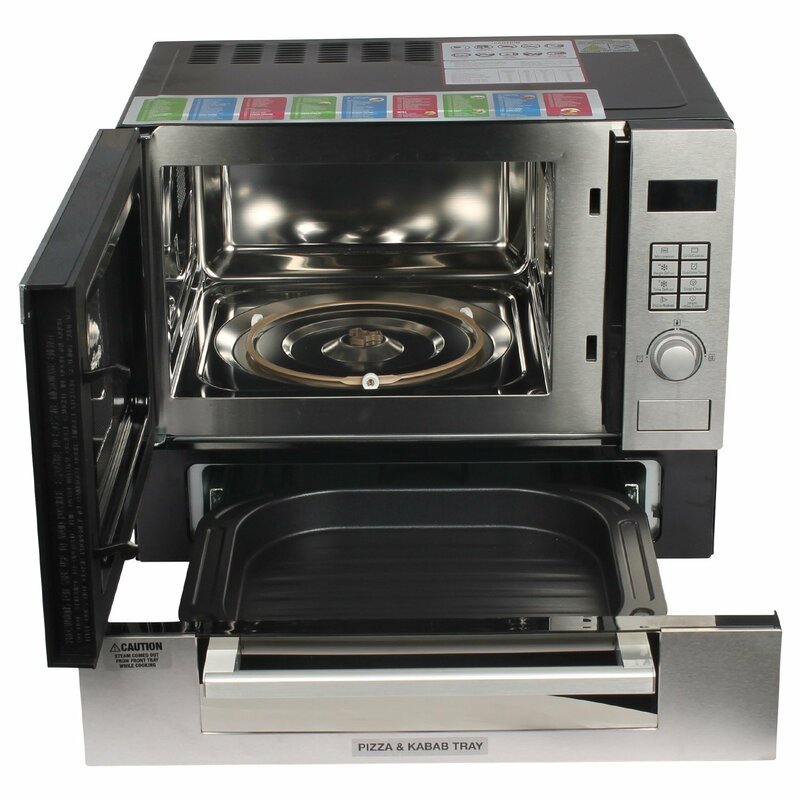 This Microwave oven comes with all required accessories such as 201 auto-cook menus, 40 authentic Kababs letting you enjoy various Kababs recipes that can instantly be made. 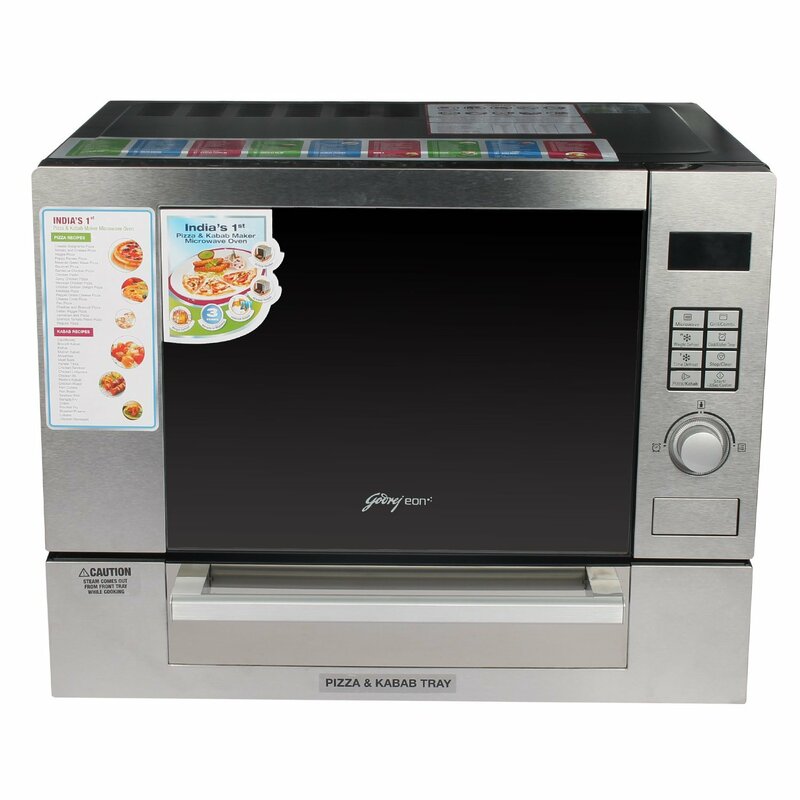 It lets you prepare 20 different pizzas so you can enjoy a wide variety of pizzas that you can make at home. It comes with 5 power levels to cook food at different power levels. The stainless steel cavity is highly reflective and very easy to clean and it is free from any types of odors so it is highly healthy without any doubts. 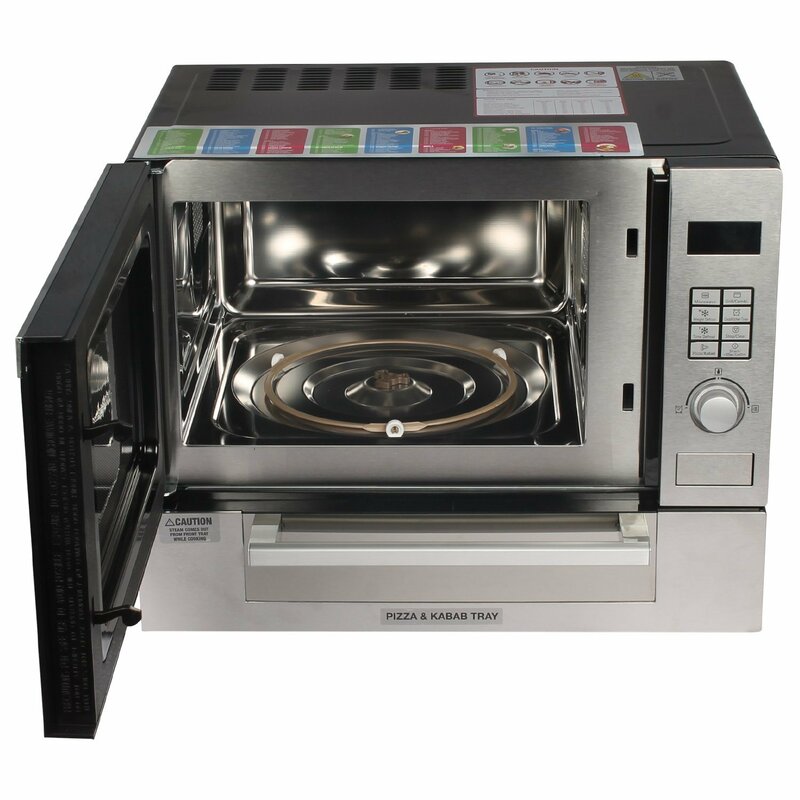 This Godrej microwave oven comes with a stainless steel interior that is very easy to clean and the live of the interior will also increase. 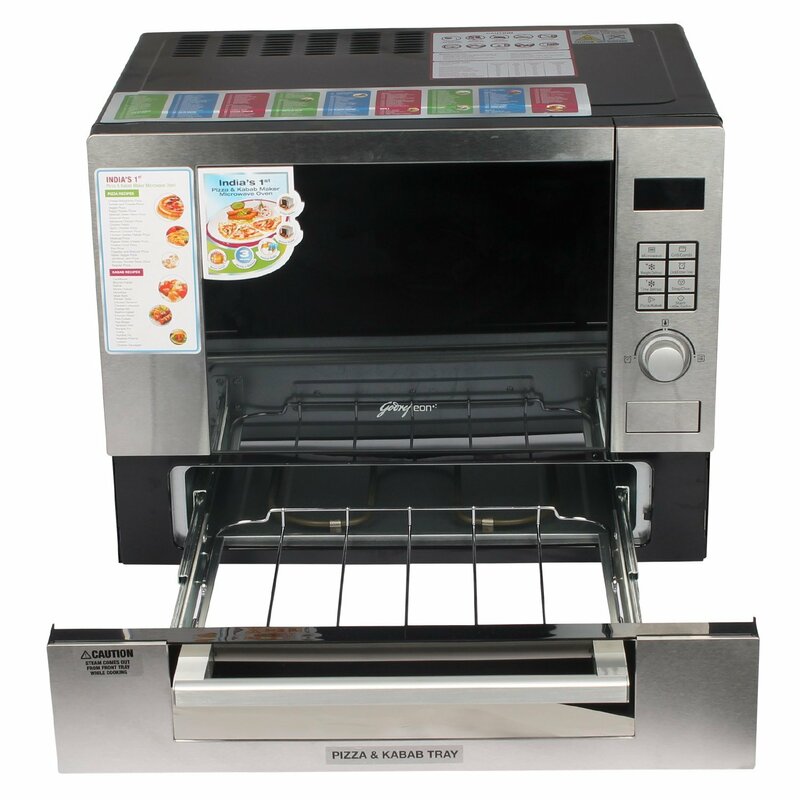 Further, it has multi-stage cooking capability, letting you set up to 3 stages of cooking by pressing just one button. When you set the cooking stage, the unit will start cooking through three stages automatically saving your time as well. On the other hand, the express cooking feature can start the microwave oven without setting the power and time so you can start cooking with the touch of a button. 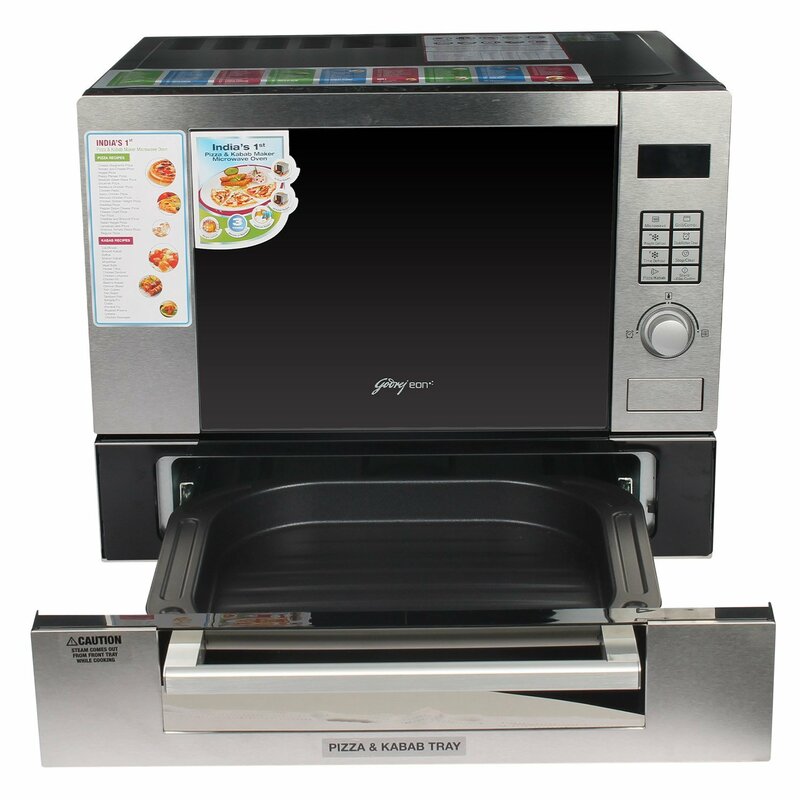 It also comes with Weight Defrost capability, the unit is able to defrost your food item based on weight. You just need to enter the weight of the food item. On the hand, the Jet Defrost feature can defrost food depending on the time, so you can easily save your precious time by using this Godrej microwave. In safety feature, it has Child Lock feature that locks the keypad of microwave so that a child won’t be able to operate the unit.